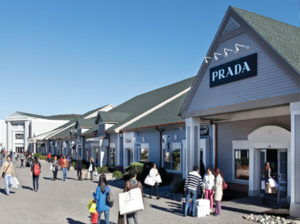 Highlights: Visit Woodbury (Woodbury Common Premium Outlets). Departure from New York City in the morning, we will spend our time in Woodbury Common Premium Outlets throughout the day. Located in Central Valley, Woodbury is popular shopping destination for fashion clothing at bargain prices. At the end of the day, we will head back to New York City . See “Departure and Return Details” for information. Free Lunch: Only apply to passenger who visit Woodbury Outlet between 10/15/2014 and 11/15/2014. The free lunch is value of $12 (1 Chinese lunch special, 1 fruit and 1 bottled water). Passengers need to pay for the bottled water, tip and taxes total $6 to get the lunch.